Importnant and practical information for travelers along Uzbekistan. The Republic of Uzbekistan is located in the interfluve of the Amudarya and the Syrdarya and occupies an area of 448.9 thousand square meters. km. The length of the territory of the republic from the west to the east is 1425 kilometers and from the north to the south is 930 kilometers. The national currency of Uzbekistan is sum. Most of the exchange offices in the city accept the euro and US dollars. Other types of currency can be exchanged only in exchange offices located directly in banks. In some hotels currency exchange offices are open around the clock, 7 days a week. Others, as a rule, open at 9 o’clock in the morning, but the working day ends already at 15:30 – 16:00. The exchange rate for foreign currencies changes to about + 20 sums on every Tuesday. You can find more information on the exchange rate on the website of the Central Bank of Uzbekistan – cbu.uz. It is practically impossible to exchange crumpled, inscribed bills and older 1996 year. Please, beware of exchanging currencies on the street and with strangers, exchange of currency on the black market is illegal. Few hotels, restaurants, shops accept credit cards. Also, there may be technical problems when using credit cards. Therefore, we ask you to use credit cards as a reserve option, but not the main one. C cards like MasterCard you can get cash at the ATMs of Asaka Bank – asakabank.uz/en. It’s possiblel to get cash from cards as Visa at ATMs, for example, Kapital Bank. Travelers’ checks are not cashed by all banks. To enter and travel around Uzbekistan, for all foreign citizens is required a passport and a visa. The visa is not required for the citizens of Russia, Azerbaijan, Armenia, Belarus, Georgia, Kazakhstan, Kyrgyzstan, Moldova, Ukraine, but they should have valid foreign passport at the time of entry and exit from Uzbekistan. 1. Visa of the Republic of Uzbekistan. 2. Tourist visa to Uzbekistan. 3. Consular missions of Uzbekistan abroad. It’s not required compulsory medical or any other types of insurance for traveling along Uzbekistan, but it is recommended to have medical insurance for case of illness. While entering Uzbekistan, you will need to fill out the customs declaration in 2 copies, one copy with the stamp of the customs department remains with you and it must be kept while you are in Uzbekistan. During the filling the customs declaration, please, show all available currency, jewelry, traveler’s checks. All other values ​​and equipment, cell phones, also need to declare by marking as used. Import of currency is not limited, but export should be no more imported and declared amount, as declarations will be verified at departure. Therefore, please keep the customs declaration till your deparure from Uzbekistan. Particular attention should be paid to sleeping pills and soothing drugs, medicines with psychotropic substances, as the transportation of them without a prescription is limited. In Uzbekistan, the import of medicines is prohibited for commercial purposes, therefore, from medicines, we recommend taking only the most necessary. Alcohol products can be imported and exported up to 2 liters per person. Here is sample of filling in the customs declaration during entering and leaving Uzbekistan. One should be at the airport 2.5 hours before departure. Self-passing passport, customs control and registration for the flight, which ends 40 minutes before departure. – hand luggage not more than 5 kg. The majority of medical services in Uzbekistan are paid. If you need a doctor, contact the reception of the hotel and use an insurance medical policy. An insurance medical policy you can issued in your country, having first ascertained from your insurance agent that it will operate in Uzbekistan. Our travel agency does not make out insurance policies for foreign citizens. In order to avoid misunderstanding, we ask you not to leave money, documents and valuables in hotels in your absence. If necessary, you can use the safe at the reception of the hotel. In Uzbekistan, hotels are required to present to their guests a coupon about registration for the period of residence in this hotel. Please make sure the spelling of your name is correct, the date of stay at the hotel on the coupon. The registration coupon may be required to present a passport control officer upon departure from Uzbekistan, as well as the police. As you know, the East is famous for its hospitality. So in Uzbekistan, tourism is, first of all, centuries-old traditions of hospitality. This is one of the reasons why in Uzbekistan so popular is the accommodation in small private hotels and houses in national character. You will not lose, but rather win, if you choose such a hotel. National character, hearty breakfast and home cosiness are guaranteed. 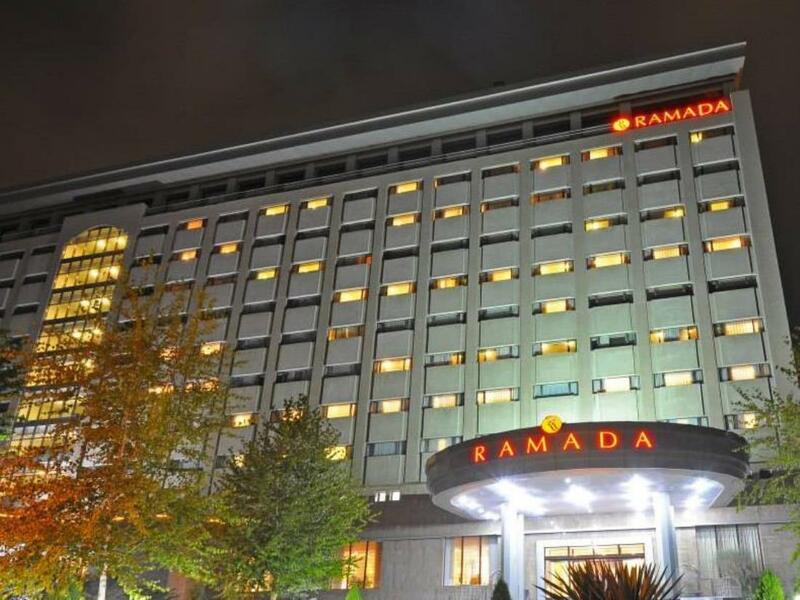 There are hotels belonging to the popular hotel chains as “Hyatt Regency”, “Wyndham”, “Radisson” and “Ramada” in the capital. You can get acquainted with our hotel catalog, where you can choose and book a room in a hotel, a high-class hotel or in a cheap private hotel. Entrance tickets to architectural monuments, museums, palaces, necropolises are paid separately. The fee for video and photography of historical monuments inside is also paid separately. Museums are open from 09:00 to 18:00. Photographing in museums is permitted, but at an additional cost. You can also shoot on video for an additional fee. State and commercial organizations work from 09:00 till 18:00, except on Sundays, and on pre-holidays till 13:00. Banks are open from 09:00 till 16:00, Monday to Friday, lunch time is from 14:00 till 15:00. Restaurants work until 23:00. There are no specific hours for shops. During the summer period, shops are usually open from 09:00 till 20:00. The day off is Saturday and Sunday. In some organizations Saturday is a short day. The first day of the religious Muslim holiday “Kurban Hayit” (Iid-al-Adha). In the network – AC 220 volts (sockets – eurostandard). In Uzbekistan it is safe, but not only because of the peaceful and hospitable nature of the local population, but also because the state pays much attention to the safety of its and foreign citizens, so the crime rate is very low. Uzbek national cuisine is very rich, diverse and caloric. Dozens of types of pilaf, manti, samsa, shish kebabs, lagman, khanum, mammar, chuchvara, eastern sweets and other Uzbek dishes can be tasted in almost any cafe and restaurant in the republic. Drinking tap water is not recommended. In hotels, restaurants and shops, mineral water is sold in plastic packaging. Fruits and vegetables, before consumption, you must necessarily rinse in boiled or running water, and in any case not to drink with water from the tap. Alcoholic beverages are sold in specialized wine-vodka shops and in restaurants. On sale there is always good quality beer of local brands . If your trip is planned in the period from April to October, you should take advantage of a wide-brimmed hat and spacious clothes, made of a thin natural cloth. Do not forget about sunglasses and sunscreen, because the sun in Uzbekistan is very bright. The style of clothing can be anything, including shorts. However, during excursions, usually including visiting religious and religious buildings, try not to offend the glance of pilgrims and mosque ministers, unnecessarily causing toilets and limit themselves to thin but spacious clothes. As for urban and evening dresses, there are no restrictions. Shoes for excursions and camel tours are better to use light, open or sporty, which will not make it difficult for you to move. Tours include walking tours, it is possible that you will have to spend some time on your feet. In this case, comfortable shoes will be welcome. Some art products are subject to examination, without which export of these products from Uzbekistan is impossible. In case of questions on examination, please contact sellers, guides, drivers or our employees. Expertise is subject to handmade products: carpets, suzane, musical instruments, art furniture, fiction, painting, graphics, sculpture, silver art objects, silverware, etc. In the offices of the mobile operator, you can get a local SIM card by providing a passport and a registration card from the hotel. In Uzbekistan, you can easily find an Internet cafe in any major city. Most hotels have Wi Fi access (password can be accessed at the reception). The width of the channel is usually not used to 2 MBit, and in cheap hotels it is several times smaller. GMT (GMT) + 5 hours. The climate of Uzbekistan is sharply continental. It is characterized by a sharp amplitude of daytime and night, summer and winter temperatures. The temperature difference is quite significant, depending on the pore of the year. The average January temperature drops to -6 ° C, and the average July temperature rises to + 32 ° C. The average annual amount of precipitation falling on the plain is 120 – 200 mm, in mountain areas – 1000 mm. The amount of precipitation is insignificant, therefore, agriculture depends more on irrigation. The men are greeted with a hand. Women and girls are undesirable to take their arm without first having asked their consent. With women it is not accepted to greet with a hand, enough of an oral greeting or a slight bow of the head. You can not enter the Uzbek’s house in shoes. If the owner goes ahead of you and himself goes into the shoes, then this ban is removed. Ramadan is the month of Moslem fast, however, restaurants, bars and cafes are working as usual. But, at this time, the local population limits themselves to drinking alcohol. Their payment is not mandatory, but everyone will be happy with a small tip. It is believed that drivers, porters, tour guides, hotel staff and waiters deserve encouragement, if the customer was satisfied with the service. In the East, bargaining is turned into an art form. Bargaining, speak very loudly, and do not pretend that you doubt your victory. Of course, the trader will never let go to the annouced price principlly. But you can really reduce the price to 10-20% by using bargaining. Bargaining costs until the end, tiring the seller and quenching the curiosity of buyers. Of course, the trader will say that you are his first customer for today and therefore he gives the goods almost for nothing. The official language in the Republic of Uzbekistan is Uzbek. In the cities of Bukhara and Samarkand, however, the main language of communication among local residents is Tajik. The Russian language is very common, and up to 80% of the population and speak in it, especially urban.